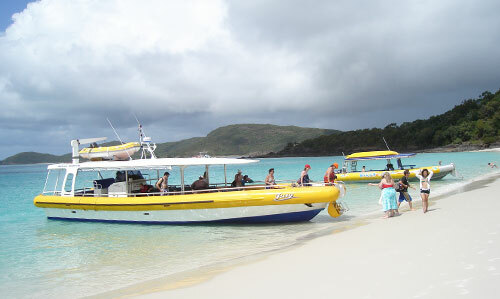 All in ONE day…visit magnificent Whitehaven Beach and the Hill Inlet lookout, enjoy an Island Reef Snorkel at one of the many pristine coral reefs around the Whitsunday Islands and take a hike up to Solway Peak lookout, all onboard Big Fury – the "Ferrari" of day boats in the Whitsundays! Big Fury is a FUN-TASTIC BOAT!! 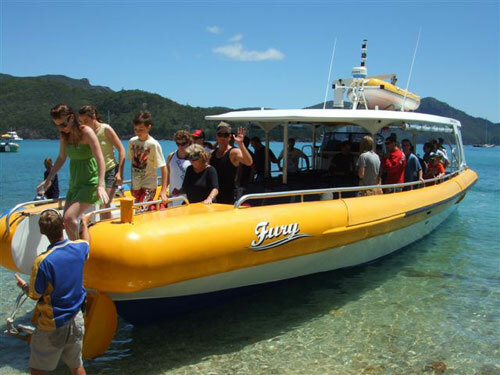 A Fury Ride – "Get there before the crowds"
We take you to a superb island reef site where you will enjoy snorkelling amongst 1000s of tropical fish and beautiful corals in clear waters just minutes from the Islands. 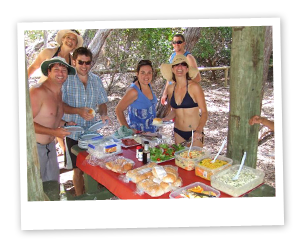 May consist of the following island reefs: Langford Reef, Blue Pearl Bay, Mantaray Bay, Luncheon Bay, Butterfly Bay or Border Island. 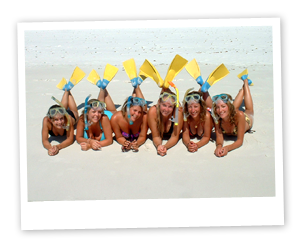 Our crew selects the locations depending on weather conditions, endeavoring to get you to the best snorkelling site on the day. Our crew provide an informative and entertaining commentary about the many 'Picture Postcard Islands' we pass along the way! 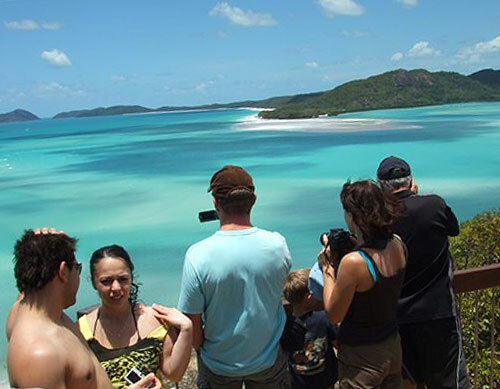 No trip to the Whitsundays is complete without a visit to this 'beautiful piece of paradise'. Here you will have ample time to enjoy a swim in the crystal clear turquoise waters, feel the pure white silica sand through your toes on this 7km stretch of beach. 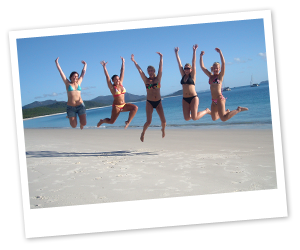 Enjoy a short guided bushwalk to Hill Inlet lookout to view the famous swirling sands. Half the Fun is getting there and back! 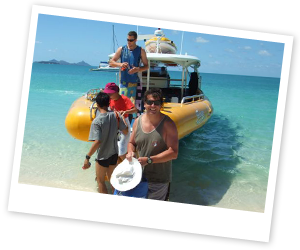 Fury cruises past more than 30 tropical islands which make up part of the Whitsunday Islands group… So sit back, enjoy the stunning natural scenery, catch a glimpse of a turtle, dolphin or even a hump back whale and our crew will inform you of the history behind this amazing area. 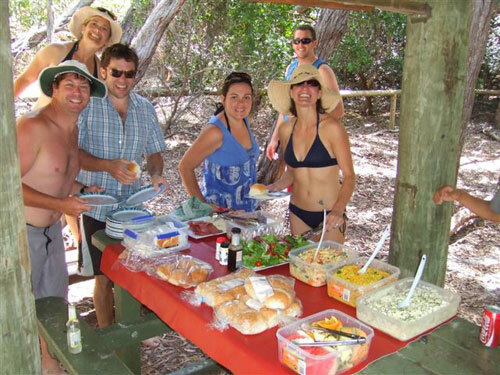 Served right on Whitehaven Beach, consisting of – creamy potato salad, indian curry rice salad, tuna & veg pasta salad, Italian mixed salad, prawns, cold meats platter of silverside, premium chicken & roast beef, selection of fresh rolls, fresh fruit platter of pineapple, rock melon, watermelon and other seasonal tropical fruits. 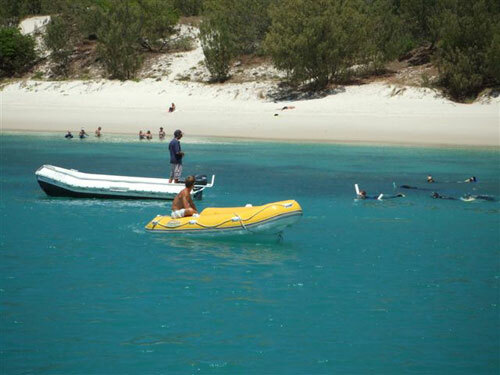 No need to be transferred by dingy, Fury's shallow draft allows her to pull up right on the beach. 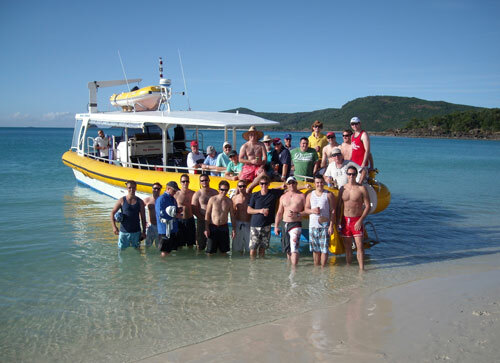 We have hand picked our crew from the most professional, informative and entertaining crew in the Whitsunday's. 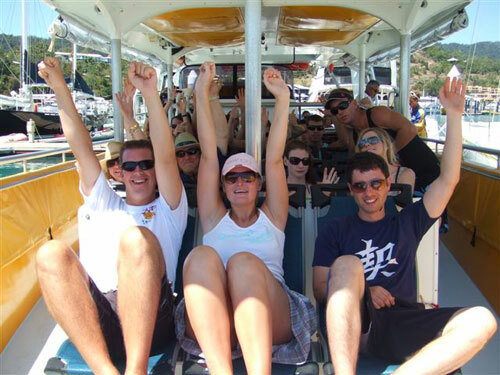 All of our guests comment on the jovial, laid back atmosphere onboard! Powered by 4 x 225hp motors, Fury is capable of speeds of more than 80km per hour. 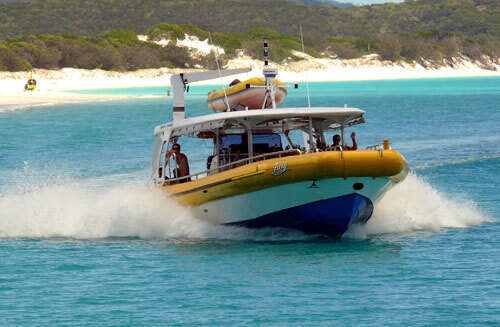 She combines the reliability and speed of an off-shore patrol boat, with the comfort and safety of a cruiser, providing guests with a smooth ride to the Whitsunday's - no sea sickness!! Swim wear, towel, sun hat, sunscreen, sun glasses, weatherproof jacket for possible showers. Warmer clothing for winter months and of course a sense of adventure and a BIG Smile ? 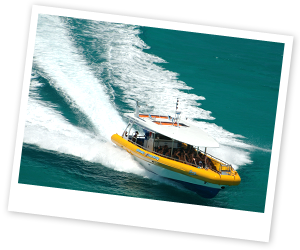 Stinger suit hire, snacks and soft drinks available to purchase onboard Big Fury. 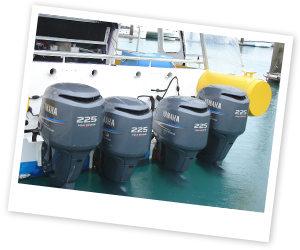 Big Fury is available for Private Charters and can cater for groups of up to 36 guests, so whether it’s a Family Gathering, Buck’s or Hen’s Big Day Out, Social Groups, Work Functions or just a bunch of mates looking for a fun day out on the water, we can make it happen! !